Mystical creatures, the destruction of San Francisco and government internment camps. 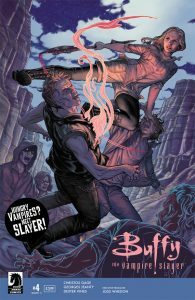 It’s Buffy Season 11 and it’s only getting messier as Buffy, Spike and Willow touch down in the federal camps for otherworldly powered and born inhabitants. After having a showdown with past slayers now turned government contractors the team decided to stop coming to clash with the law and see what they could do within the system. Tired of running and tearing apart the lives of everyone involved we saw Buffy take a stand to give Dawn and Xander a shot at their life as they took care of the reborn Giles. Issue 4 “Desperate Times” takes readers under the veil of the safe zone with Buffy as she makes her rounds and learns the landscape. With a tiny camp stuffed to the brim with monsters what could go wrong? We learn about the strain showing in Spike and Buffy as they adapt to this new world and see how confinement and neglect can really turn problems up to 11. Christos Gage tells a story of hardship and struggle for the demons and monsters in the safe zone, some problems never go away even if they’re under “guard” until the situation improves. Tidbits of Willow, Dawn and others come about and give light to the growing storyline. It’s bleak and tensions are only getting worse for Buffy and her friends, something has to give if they’re going to make it through this. The shift to Georges Jeanty happens in this issue, with Rebekah Isaacs leading the style out of the gate the shift was easy to catch as the two artists approach gestures, character design and their worlds with their own sense of flair. The change to Jeanty makes sense as the story takes a darker turn into what inhabitants of the safe zone face. Hopefully Dark Horse is able to continue shifting between the duo through the series as they both bring so much to the books. 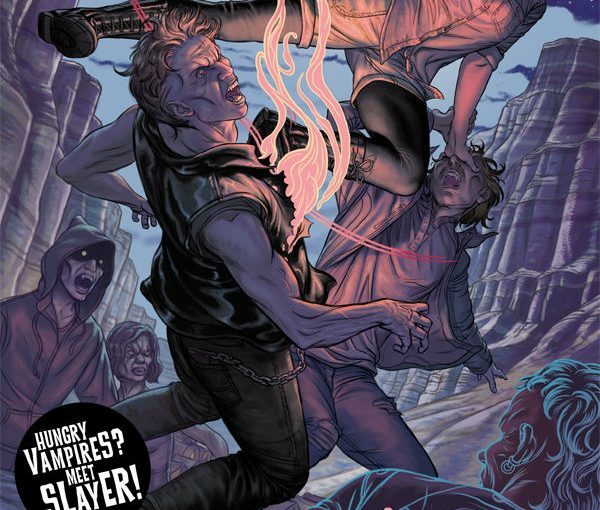 That said, unfortunately Buffy and the crew have their work cut out for them, Desperate Times is a fitting title for the issue given the challenges ahead in this story arc. 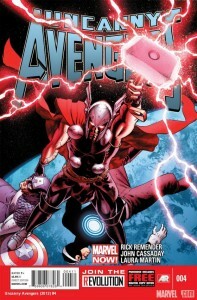 The Uncanny Avengers save Boston from destruction, but at what cost? 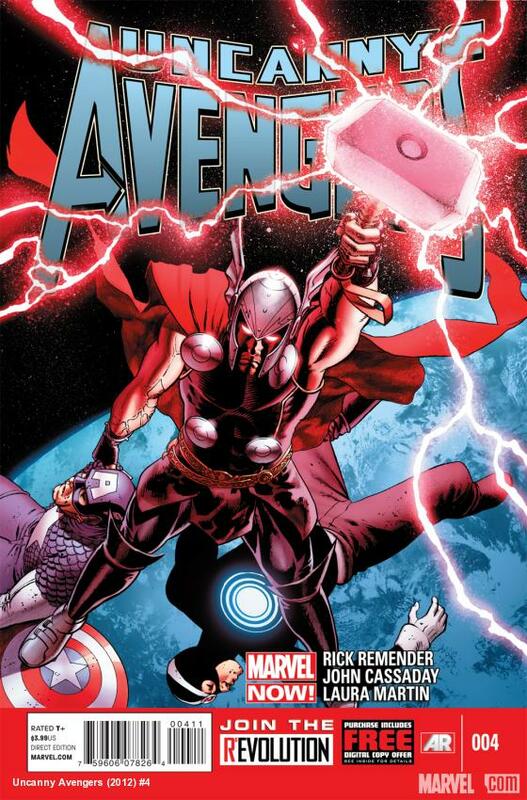 The finale of the first arc has devastating consequences for one Avenger. The begin of issue #4 we get a flashback of Emily Guerrero (Synapse) and her grandfather Ivan Guerrero (Shredded Man) when the Mist hits there home, Emily is confused and scared but Ivan is more acceptable to the change and is already dead set on becoming a hero, It just back to the present time and now Emily who is now Synapse is on her knees crying before Ivan aka Shredded Man asking him to stop the destruction and chaos he’s caused but lvan refuses and they start to battle it out, Meanwhile Deadpool and Rouge are taking out the infected animals, a funny moment happened when Deadpool asks Quicksilver to get him more weapons from his armory, instead he runs to a local gun store and brings not only the weapons but also the owner of the store, he and Deadpool shake hands and the two pick up guns and start taking out the creatures. 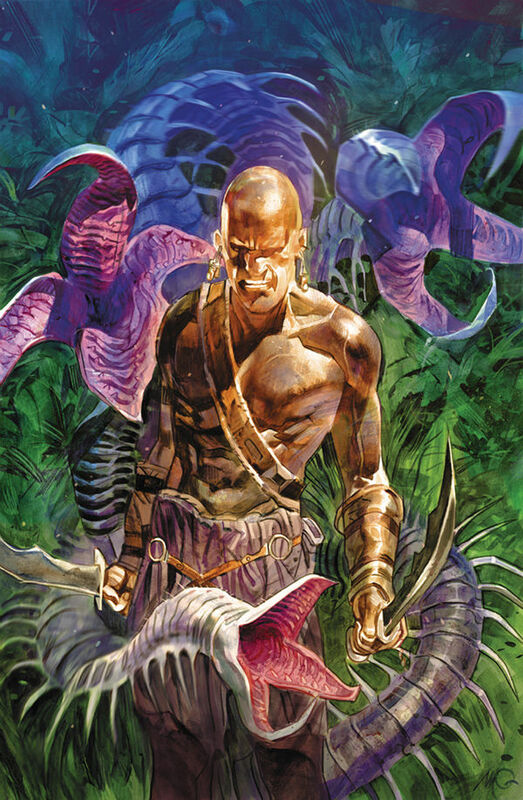 Back in the lab Torch and company are finishing up Cable’s serum for the Terrigen Mist outbreak, Quicksliver drops in and asks if the serum is ready and from there we see him blazing to every man and woman infected by the mist and giving them a shot of the cure. We jump to Cable and Rouge who are still fighting, cable gets a psychic flash and sees a vison of Synapse taking out Shredded Man causing a catastrophic event, just when it looks as if she’s going take him out Cable teleports in and takes her down before she can, the starts to reason with her stating that her actions will causes more damage to the city, Cable surprises them both when he instead shoots down Synapse, she goes on to tell him that she knows he still is the grandfather she always knew, but also didn’t want to die with the shame of what he’s done, so as a gift for his granddaughter he uses his powers to stop it all. But not without telling Synapse that his love for her is gone and the next time they meet he’ll have no mercy for her and with the last bit of his power escapes. In fear of what the others my say, Synapse pleads with Cable to not say anything about her connection with the Shredded Man. 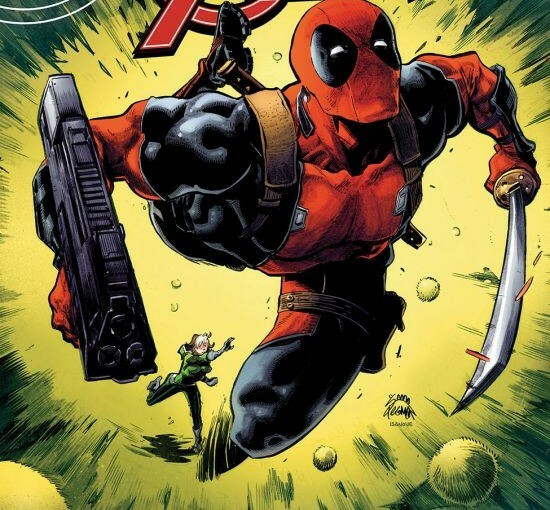 When Deadpool and the others arrive back to Boston, Cap asks Cable if he’s going to stick around, and Cable first says no, but quickly changes his mind when Cap tells him the next mission is to take down Red Skull and retrieve Professor Xavier’s brain. The issue ends on what you could consider a cliffhanger when we see Hank Pym saving some people from an Alien attack, the interesting thing about rescue is that he’s not in his typical Ant-Man get-up but instead a new exo-design suit that he says is Ultron. Conclusion: There’s a lot of subplots within this arc that could turn into something interesting later on, but for right now it looks as if the main plot is over, we see a lot of emotional turmoil in Synapse, at one point she gives up physically because the emotional drain, her character development and story was the focal point in the issue, with that said I’m curious to see where Duggan takes this story now that the big bad is out the picture. 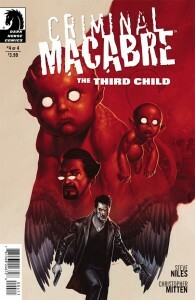 As Hemlock and his two demon Spawn Babies terrorize Los Angeles turning it to a living hell, Cal and the crew finally catch up with Hemlock, Cal tells the others to save the humans and non-humans that need to be protected from Hemlock, Meanwhile Hemlock is enjoying the world being turned upside down and he states that he can feel the three of them getting strong, but to his surprise the two demon babies don’t consider him the Third, they go on to him that he has only proved that he is fool and that he must kill the true third child and that happens to be Cal McDonald. When Cal and Hemlock square off Cal easily handles him, Hemlock is no match for his strength and power and is taken down by Cal, on his knees and defeated Hemlock is prepared to die by Cal’s hands but Cal reverts to his old wise cracking self and informs Hemlock that he won’t be the one who will finish him instead he has a friend who wants that opportunity, and that friend turns out to be Wheatley who then walks up and shoots Hemlock in the hand finally ending and avenging Doris’s death. With Hemlock out of the way the demon babies ask Cal to join them and help them turn the world into hell, Cal boldly states that he has no intensions to join them and in fact is going to take them out, the babies then fuse together by one eating the other and they turn into a colossuses size demon, Cal is out matched against the giant Demon, during their fight Cal gets his wings ripped off and looks as if he’s done for but through a burst of anger pops back and sprouts new wings and gets back into the fight, moments later Cal lands one final punch which causes him to blackout. After his blackout Cal wakes up with Mo’Lock, Wheatley, Cal asks if the demon is dead and they reassure him that it is, he also seems surprised and happy to see that he is no longer a Ghoul. The issue ends with the group saying there good byes and Cal going to a bar for drinks and begins to reminisce on his experience as a ghoul, in the last to panels we see that Cal still has his wings and red eyes. I’ve always been a fan of Steve Niles work on Criminal Macabre, he balances the comedic, horror and action wonderfully without killing the main story something not all writers can pull off. 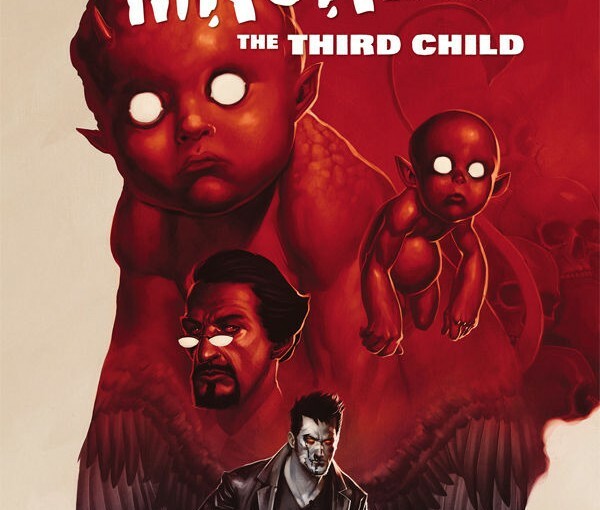 Conclusion: CRIMINAL MACABRE: THE THIRD CHILD #4 is a solid final issue, there are some parts that seemed unfulfilling besides that The Third Child as a whole was great arc and a must pick up for fans. 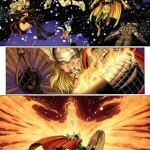 Marvel is back at it with teasers, this week they unleash a red eye Thor standing tall above his decimated team-mates. Has Thor turned? 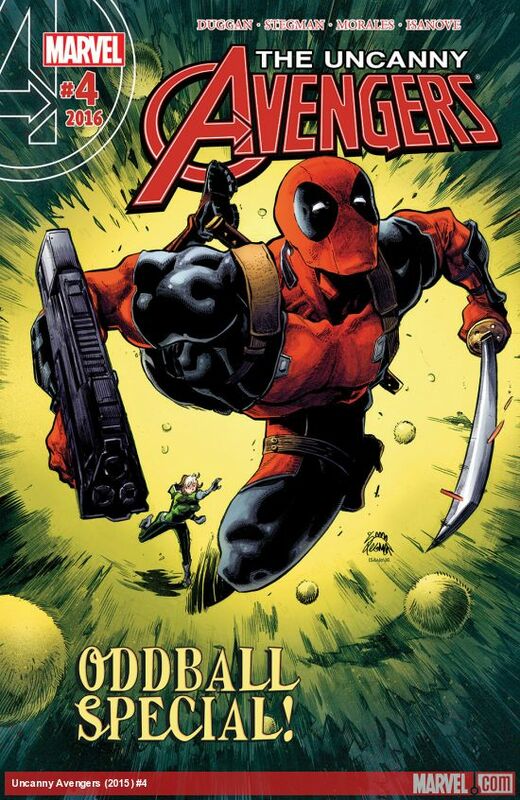 We only get teasers about Red Skull and his S-Men moving on New York and one of these Avengers turning on the team. It’s all on the line as the group has to rise to the challenge of defeating the Omega Skull and it hits in January 2013. 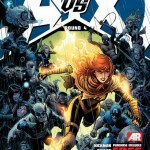 As we close in on the end of Act 1 Hope closes in on her goal of trying to harness the Phoenix Force, she’s been busy in her escape and side travels aiming to harness the power for this second generation of mutants across the planet. When we left off everyone was still slugging it out physically and politically after the initial clash went down on Utopia. Readers get to join the story with Wolverine trying to make his way back to anything familiar, lost in Antarctica after Captain America booted him from the plane he’s struggling in the frozen land. Of course it’s not all so bad as he stumbles upon some supplies and the last person he figured he would run into during this mess, in a moment he goes from lone wolf to hero in a single moment. Unfortunately for Hope, being his savior and friend doesn’t earn you much credit in a conflict this large or with a man who has this much conviction to see you dead for the good of all. 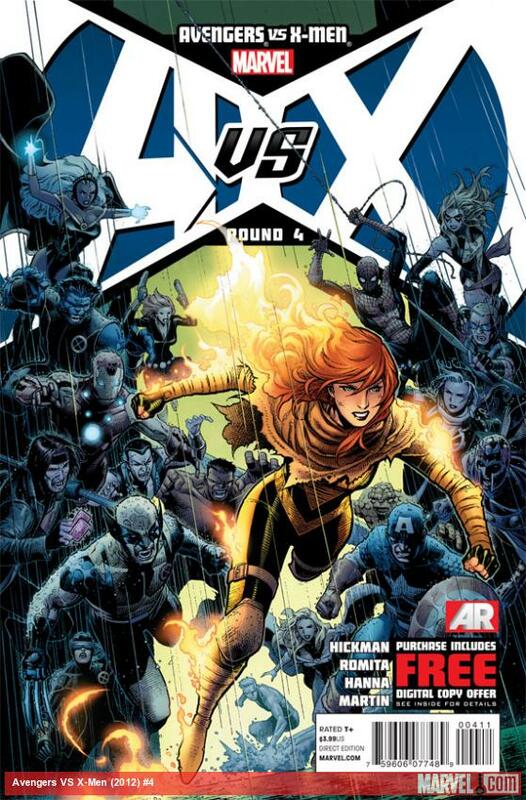 Unfortunately it’s in this we see some issues as a larger story scope, in Wolverine’s side story he was back at the Jean Grey School during the blip in AvX 3, if that all took place somehow during a fraction of a moment I guess it’s possible but a bit unlikely. On top of that we see one of the deep space team members return but it also conflicts with the story we know so far (it’s apparently tied into this weeks Avengers #26). For those following the global arc it’s a bit of a break in the read to see things being shuffled around as they are, it’s not a bad result but it feels odd to see them jumping ahead so much and leaving everything else to fix and catch up. 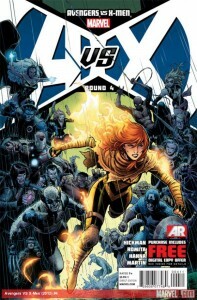 As a whole Avengers vs X-Men sets the stage for a huge showdown again with a missed calculation by the Avengers, this whole time they’ve been rushing against the clock but it seems they lost track of that clock entirely. As they showdown on the moon for Hope they see it’s far too late and the mutant side is about to get a massive boost to their firepower if the mutant messiah can really tame the beast. For those wondering though, it’ll be a 3 week break this time until we see the next installment leading to the conclusion of Act 1. 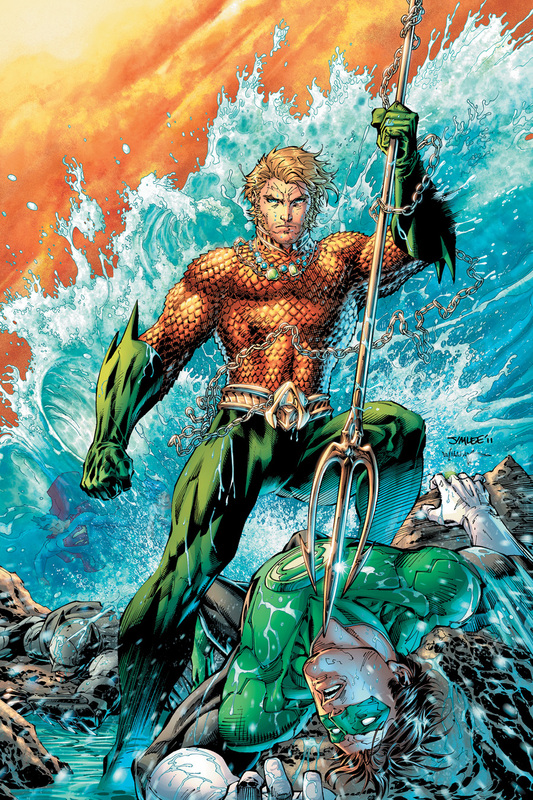 It’s a good time to be a comic publisher, DC is loving the attention as they send Justice League #4 back for a third printing to get the books out to fans. While this doesn’t top issue #1 which has made 7 trips to the printer it’s still a feat and even issues 5 and 6 are going ahead to the printers to keep the supply flowing. It’s an important issue to the series, showing off Aquaman, introducing Cyborg’s transformation and of course… Darkseid. May 16th marks the arrival date of this third printing so hold on tight and keep up while DC pushes to get the supplies back in order. Two plans are underway, Zayne versus Kace and the fate of the young Jedi’s rest in the balance. The war effort is in full swing and Kace will stop at nothing to capture the recruits as his own for the Mandalorians and their strike against the Republic. Zayne has no choice but to call upon his own captured crew to turn the tide of this battle including Morvis who he’s smashed heads against countless times now. This time Zayne has found an effort that he’s willing to risk it all for and we’ll see him play his greatest hand to do anything to see it through. The story in issue #4 is actually quite light compared to the series so far, we see Kace at a relative calm for most of the issue only really looking to chime in about his upcoming success and check on his own forces ready to come up behind him after the first wave launches into action. Even Zayne is reduced to a simpler role as he sneaks around to get the troops ready to roll, although part of this comes from Kace removing Zayne from the forefront of the effort due to the revelations about his history and plan that came in issue #3. It isn’t to say that nothing happens though, Zayne’s latest plan takes the whole story into the realm of spaaaaacee maaadness and causes a scene with the crew unlike anything they’ve encountered. Luckily for Zayne he was able to play his luck just right and pull it off, although for those wondering the cover obviously gives the ruse away. 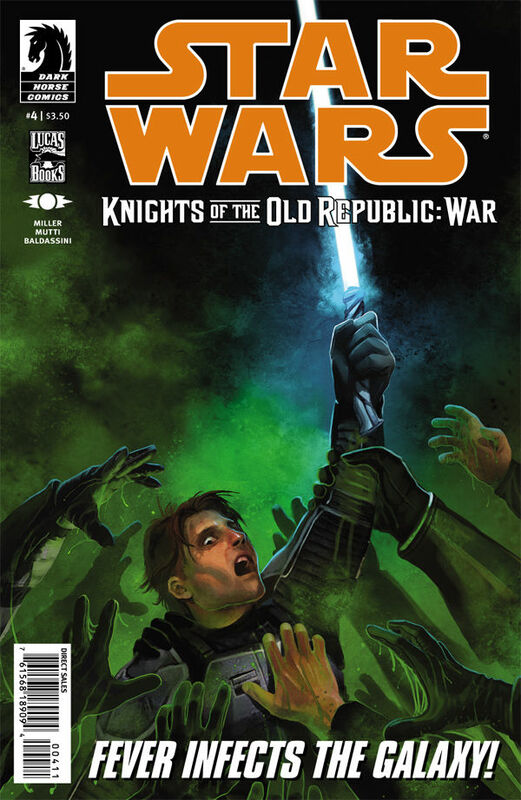 The art of Knights of the Old Republic War retains consistency for the series, although Zayne appears to have aged considerably in some panels which throws the book off for those keeping tabs on the characters. The expressions have gotten better as well, the rage and horror at the new disease striking the crew was priceless, Zayne in his moments of rage and infection are great gestures to see in the book. Overall the illustrations are strong and effective and in the case of Dantooine it’s priceless to see the planet so radiant in space. 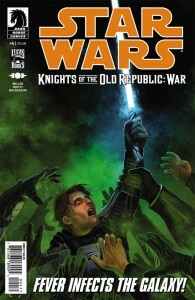 Star Wars: Knights of the Old Republic War #4 is a building block in the series, leading up to the final installment in issue #5 next month as this mini saga comes to a close. The tension between Zayne in Kace in the race to save Dantooine really gets some momentum and we learn about the madness behind Zayne’s methods in greater detail. Is he a brilliant strategist or just a really really lucky guy? You’ll see as it unfolds in this issue. 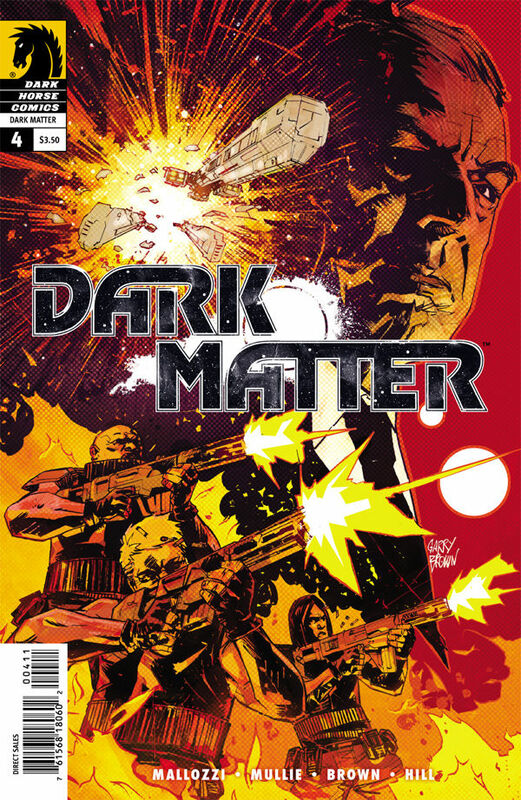 The final issue of the Rebirth saga is here for Dark Matter, I speculated on the ability to wrap this story up with the expansions going on but I’m happy to say it was a good experience. The Raza sped off to FTL speeds and left the crew behind, Ferrous Corp was closing in with countless soldiers for a wipe out event on the planet and doubt was still in the minds of the crew after discovering their true identities. What would happen? What could happen? Rebirth 4 of 4 makes good on the developments brought through the 4 part series, giving closure to story gaps that were forming and showing that even without full memory, this group can lay down serious damage in a moments notice. New sides to the crew keep popping up as well, Marcus stands out in the issue as the lone wolf out for self-preservation over all else. Ryo emerges as a hopeful that views the upcoming battle with an optimism of chance and Griffin seems to want redemption for his past and doesn’t mind getting dirty to do it. While we don’t get to know who all of these people really were in their past we get a tease in the final panel that assures it will be handled in the future. 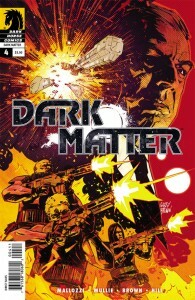 Artistically Dark Matter is a favorite of mine, it’s a new experience and a fresh one at that, the characters are well animated and crisp, the dark ink shadowing has lightened up consistently as the information flowed about the characters. The color and atmosphere and worlds felt like something familiar and yet new, the mining town stepping away from so much of the sci-fi experience with just normal humans running around is a perfect example of this. As a new series it’s a great ride to have the complete issue evolve from one to the next. 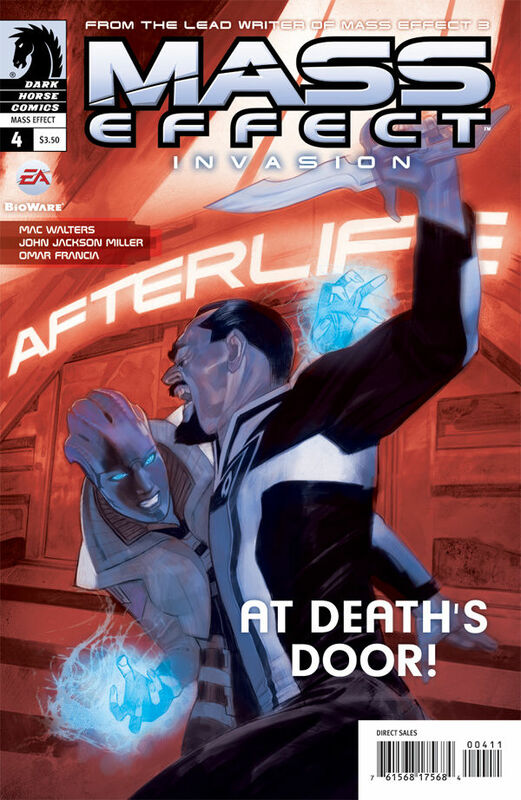 Review – Mass Effect: Invasion 4 of 4 – At Death’s Door! In this final installment of Invasion the action is in full force, gearing everyone up for the March release of Mass Effect 3. 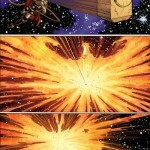 The issue starts us in the middle of the ongoing battle for Omega and never stops. The Illusive Man’s Colonel Ashe, General Petrovsky and their troops are now falling apart and dying left and right due to the team that has assembled under Aria’s command. General Petrovsky devises a plan that he is sure will work, but he underestimates Aria’s intelligence. Super angry and super determined, Aria refuse to back down and she devises her own plan. After a giant battle, a few history lessons and a lot of lives lost we are left wondering who will ultimately control the coveted Omega. I think it’s safe to say that Aria is a fierce opponent and will stop at nothing to get what she wants! 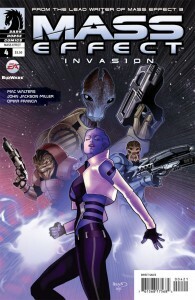 Like the previous issues of Mass Effect: Invasion, this one is full of massive amounts of action. Even though it is the same length as previous issues, it felt like it ended fast because of how gripping it was. As I was reading it I found myself fully immersed and really didn’t want it to end. This series has been an awesome lead up to the Mass Effect 3 game release and it will be fantastic to continue the story when the game finally comes out. The art, dialog and story are all top-notch and the ending was not exactly like I has expected which was a nice surprise. This series is a must read for Mass Effect fans, so if you haven’t picked it up yet I suggest you do before March. Posted on January 9, 2012 Author JennyCategories Comics, ReviewsTags 4, Comic, comics, Dark, effect, final, Horse, invasion, mass, ME3, reviewLeave a comment on Review – Mass Effect: Invasion 4 of 4 – At Death’s Door! This issue begins with the bad guys still searching for General China’s elusive mask. We are introduced to the new man in charge of retrieving the mask for the “Noble” ruler. The new man in charge, Don Barrabas, is a Dhalsimesque (Street Fighter fans know) mute warrior type. We learn of his life and that since his birth he has been “different.” Terrified of him, his family decides cruelty is the only answer (who here is really demon spawn?) After years of torture he rebels and understandably hurts those who have hurt him for so many years. This of course did nothing for his popularity and he was yet again judged and banished. Taken in by the ruler, Barrabas (for his own gain undoubtedly) now does the ruler’s dirty work, including getting the mask and killing all those associated with it. Completely unaware of the hell that is coming their way, Orchid, Simon and the rest of their small crew are heading out in search of help. Before they reach their destination tragedy strikes and everything changes. Orchid however, is finally on board and that will be bad for anyone she considers an enemy. After each issue of Orchid I believe it has gotten as good as it’s going to get and then the next issue comes out and I’m blown away. You feel so deeply for these characters (even some of the bad guys) that when bad things happen to them it’s heartbreaking. The tale of revolution and uprising never gets old. The dialog, story and concept are some of the best I have ever read, it’s so complex and compelling that I don’t want the issue to end. The art is phenomenal and really encompasses the feelings that each character would be feeling in their particular situations. If you can’t tell, I highly recommend this issue and the series as a whole, if you haven’t begun to read this yet, what the hell are you waiting for?